Dedicated to expressing a range of red--and a handful of white--wines from its estate in the Central Coast of California's Ballard Canyon appellation within Santa Ynez Valley, Jonata is one of a new breed of producers throughout the world who are thriving with a non-traditional amalgam of varieties and blends. 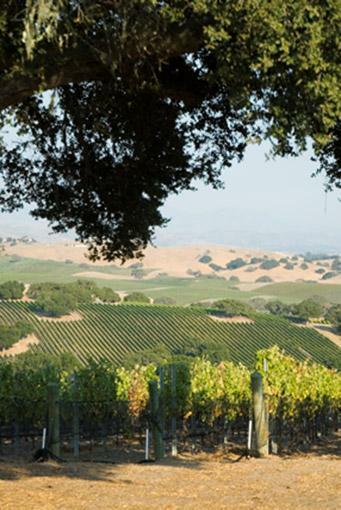 With a commitment in particular to Cabernet Sauvignon, Cabernet Franc and Syrah, and informed by cutting edge viticulture, winemaking and a polyface approach to their estate, the Jonata wines are on the vanguard of an emerging quality movement in California winegrowing. The name Jonata pays homage to the 1845 Spanish land grant, Rancho San Carlos de Jonata. At the time the land grant covered a large part of the Santa Ynez Valley. Today's Jonata is at the heart of the former land grant. The Jonata name was borrowed by the first pioneers from the local Chumash Indian and means "tall oak". Out of the 586 acres acquired by Stan Kroenke, only 84 bear vines today. The highly sandy soil made the vineyard development intricate and the task was successfully done by Central Coast Vineyard Care Associates--the preeminent viticultural management company on the Central Coast. Forgoing conventional wisdom from the outset the estate was planted with a host of varieties that are rarely cultivated side-by-side, an audacious decision at the time that created a stir in the winegrowing community. From the first harvest in 2004 and under the guidance of Matt Dees, Jonata's winemaker, it became clear that--despite widespread skepticism--not only had the right decision been made to plant Syrah, Sangiovese and Bordeaux varieties but the meticulously farmed 84-acre vineyard could also produce extraordinary results. Encouraged by Stan Kroenke's dedication to excellence, the estate has turned out a series of wines that have garnered substantial critical acclaim from Robert M. Parker Jr., Jeb Dunnuck, Antonio Galloni and Stephen Tanzer. James Suckling 95 "This has everything growing on the estate in it, but it's predominately Syrah and Cabernet Sauvignon, though there's even white varieties. Full-bodied with firm tannins and lots of fruit. Spices, coco, light toasted oak and berries. A thoughtful wine with impressive structure.